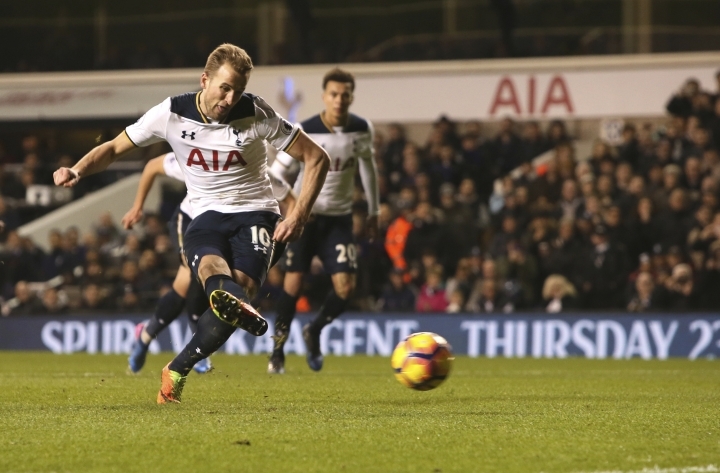 LONDON — Harry Kane's penalty was decisive as Tottenham took advantage of its rivals' losses and secured a 1-0 victory over Middlesbrough in the Premier League on Saturday. Despite being frustrated for long periods by the organized Middlesbrough defense, Kane's 14th league goal this season was enough to secure a vital three points at White Hart Lane for second-placed Tottenham. With Arsenal and Liverpool both having lost earlier on Saturday, Tottenham seized the opportunity to move ahead of its rivals at the top of the table behind leader Chelsea. The crucial moment came in the 58th as Heung-Min Son cut inside from the left side of the Middlesbrough penalty area and Espinosa Bernardo brought down the South Korea forward for a clear penalty. Kane made no mistake as he sent Victor Valdes the wrong way to give his side a lead it never looked like relinquishing. 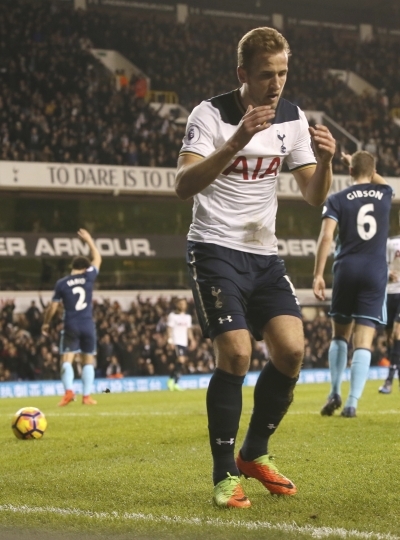 Aside from Bernardo's blip in concentration, Middlesbrough had done well to frustrate a Spurs team, which has now won its last seven league games at White Hart Lane and boasts the only unbeaten home record in the division. Valdes saved well from Son early on and did well to keep out Christian Eriksen's powerful strike moments after Spurs had taken the lead, while Kane had a goal rightly ruled out for offside three minutes before the break. Middlesbrough's resilience was no surprise. Aitor Karanka's team holds the third best defensive record away from home in the Premier League, but its shortcomings at the other end were apparent. Alvaro Negredo's header over the bar after just four minutes was the closest Middlesbrough came until stoppage time, when substitute Patrick Bamford came close to snatching a point for the visitors as he shot narrowly wide. Nine points behind Chelsea, Tottenham moved three points clear of Arsenal and four of Liverpool. Middlesbrough has now failed to win its last seven league games and remains 15th, just one point above the relegation zone and two points clear of bottom team Sunderland.